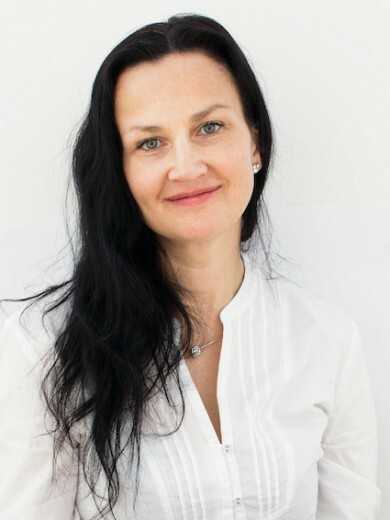 Katerina Thorova connects fragmented and separated resources through comprehensive infrastructure in the Czech Republic to bring visibility to autism spectrum disorder (ASD) and the wider family of pervasive development disorders (PDD). Katerina’s organization professionalizes the field through its one-stop-shop for early intervention, care, and knowledge to all those directly and indirectly affected by autism. More than one percent of the population has to cope with autism during their lives. Autistic people have such weakened emotional and social skills that it considerably handicaps or makes it impossible for them to function in society. Back in the days when Kateřina was a student and had just begun to work, autism was unknown in the Czech Republic. It practically did not exist because nobody could diagnose it. Autistic people lived on the margins of society. Teachers did not know how to educate children with autism. Parents were accused of being incapable of bringing up their children. The only kind of help available to autistic people consisted in large doses of psychotropic medicines. APLSA has operated for more than 10 years. It provides complex services for people with autistic symptoms in the Czech Republic. The organization focuses on educational activities and professional counseling. APLSA is also a registered provider of field and residential social services and implements programs promoting assisted employment (for instance in a PASPARTA o.p.s. publishing house). Several thousands of people were schooled in different professions since APLA came into existence. Around two hundred people are diagnosed every year giving APLA the opportunity for effective intervention. APLA’s trademark is awarded to organizations that fulfill requirements in the field of autism care. Currently there are five organizations authorized to use the APLA trademark in the Czech Republic. While working in APLA, Kateřina brought together fragmented sources, services and stakeholders. She built a complex system of support and care for people with autism. APLA’s framework is very flexible as the organization supports the introduction of new practices and ideas. We can say that APLA created a standard of quality, which became a role model on individual, community and national levels. A new interactive internet portal called Autism Port will source, accumulate, professionally assess and circulate information about autism to the various interested parties in a simple, illustrative and user friendly fashion. It will provide diagnostic tools, which will enable a handicap to be detected at an early age and promote timely intervention. Further advantages of the Autism Port are a crowd-sourcing platform and information exchange. The organization’s purpose is to provide people with autism services facilitating education and employment to help them achieve a happy life thanks to a lifelong system of support. Its aim is to enable autistic people to become self-reliant, adaptable, and less subject to loneliness. APLA’s services are focused on assisting people with autism and their families to live a happy and purposeful life regardless of their handicap. The methods that the organization implements are based on recognized practices. APLA has an eclectic approach which takes into consideration financial investment to promote effectiveness and includes special procedures and the pursuit of assimilation into society. Kateřina’s crucial lifetime motivation and drive lie in the innovations and meaningfulness of her work. For this reason she has always enjoyed and will continue to enjoy her work in APLA.